The competition will be at a different venue based on the day. Note: plugging the address directly into Google Maps will take you to Building A. Building B is across the street (see Venue tab). Note: plugging the address directly into Google Maps will take you to the parking lot. Staff members will have a waived registration fee. Please contact the organizers if you are interested. You are viewing the schedule for the venue Competition Venue. Plugging the address directly into Google Maps will take you to Building A. Building B is across the street. The map above is the correct building. 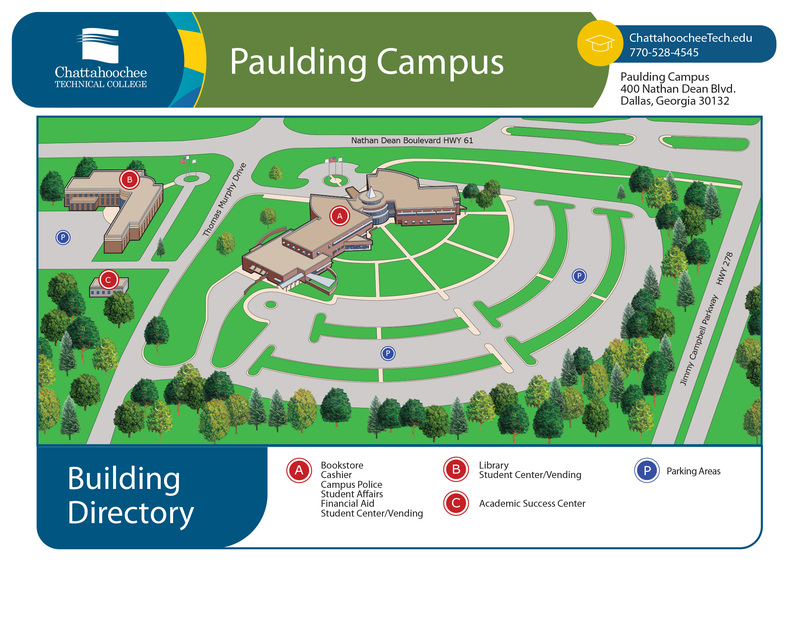 This map shows the layout of the buildings on campus. Plugging the address directly into Google Maps will take you to the parking lot. The nearest hotels are in Hiram, GA, about 5 miles away from the Day 1 venue and 7 miles away from the Day 2 venue. Be sure that you go to the correct venue on the correct day. Details are in the Information Section and the Venue Tab. We will use regulation 9p3) as much as we can. So if you do not arrive to compete by the time the event is starting, your spot may be given up the next competitor in the rankings. It would be wonderful if we could get some volunteer help from either the competitors or the parents. Judging is a super simple task and any staff member can teach anyone at any time. Judge for however long you'd feel like. In addition, you can read this document before coming to the competition to learn about the procedures for judging. Thanks to Olivér Perge and Niki Placskó for providing this detailed judging information document. It's an excellent way to make the time fly by! Your delegate for this competition is Jacob Ambrose and your organizer is Raymond Goslow. Ask them if you have any questions throughout the day! For a quick introduction to how to compete you can watch Kit Clement's WCA Competitor Tutorial video. Prizes for this competition will be provided by thecubicle.com! They will provide gift card codes for the podium winners!